I created a xml to json converting library. It allows to convert xml to json. I need help with testing it. I prepared a java/swing application. Do you have a problem with this application? If so, what is it? It's very unlikely that anybody will want to download your application and spend any time looking for problems. But, welcome to the Ranch! Thank you for your messsge. I am looking for cases there convreting is not working. And do you have a test plan? Looking for examples where the code doesn't work is a good start; creating them is what you want to do. You need to imagine situations where the conversion will break. No, I don't have a test plan. Only some unit tests. Unit tests are a good start. Do you have a full description of the problem which says "An element must be mapped to this JSON construct" and so on? A description like that would lead to a whole lot of tests. And then there are possible differences between the XML spec and the JSON spec; for example is it possible to have an XML element name which doesn't convert into valid JSON? I don't have a document with full description of the problem which says "An element must be mapped to this JSON construct". Xml to json works good, json to xml not as good as I wish. Valentyn Kolesnikov wrote: I don't have a document with full description of the problem which says "An element must be mapped to this JSON construct". If the program doesn't have specs then, yeah, it's hard to test it. Well, it looks to me like there are JSON documents which can't be converted to well-formed XML. You should have tests to confirm that. We may to check double converting xml to json and json to xml. 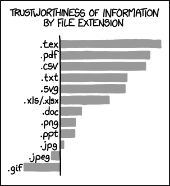 We need a set of xml files in this case. New version of program is available! - Improved json to xml converting with attributes. - Improved xmlelement names convertion in json to xml. After intensive testing new version was released! Do you have the source available somewhere? I prefer to compile the application myself. Source codes in the same repository with binary file. No testing needed btw. Program was released. The new version was released! - Added converting xml to json without namespaces and attributes. How to Check Whether it is XML or JSON response in JAVA?